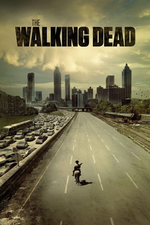 In “Swear,” the world of The Walking Dead expands with the introduction of a new community called Oceanside. It becomes apparent that the Saviors’ reach is far and wide, and highly lethal. Tara and Heath have been scavenging and have no idea what’s happened to the people of Alexandria. Sure, Heath is angst-ridden and Tara runs into some problems, but it feels good to get away from it all and see something new. With “Swear,” The Walking Dead even gives us something different with the dead. Tara and Heath are overwhelmed by walkers as they try to cross a bridge. Tara tries to get to Heath, yelling, “We’re in this together.” He shouts back, “I know,” but they still end up getting separated when Tara falls off the bridge. Heath’s existential crisis is very Season 3, and we like it. The Walking Dead is at its best when characters struggle with difficult moral decisions. Skirmishes with walkers or between humans can be exciting, but internal conflict is what creates rich storytelling. After Tara falls off the bridge, she washes up on a beach. Though this trope is frequently used in entertainment, it’s always a mystery how someone who is unconscious doesn’t drown in the water. We don’t want to see Tara suffer such an ignoble death as falling off a bridge, so we’re willing to suspend our disbelief. A woman, Cyndie, and a girl, Rachel, find Tara washed up at the waterline. After a dispute with young Rachel about their anti-immigrant policy, Cyndie pulls the unconscious Tara onto the beach and leaves her food, water, and a spear. Tara secretly follows Cyndie and comes upon the woodsy community of Oceanside. Tara is discovered and young Rachel threatens to shoot her, but Cyndie intervenes on her behalf once more. Oceanside initially appears to be an Amazon-like tribe, leading Tara to say, “I never thought I’d be asking this, but where are all the men?” After watching much of their community get decimated by another group, leader Natania and the other members of Oceanside made the decision to protect themselves no matter what. Their policy is to kill strangers on sight, and have already killed two interlopers. We’ll never know if Oceanside would have let Tara go if she hadn’t told them about Alexandria’s conflict with the Saviors. It’s unlikely, but she certainly put the nail in her coffin by revealing they attacked a Savior outpost and murdered everyone in it. It was surprising that Tara would’ve even shared such a big, and let’s face it, shameful, secret with the ladies of Oceanside. Heath may feel anguish over what they did, but Tara seems to feel their actions at the satellite were justified and necessary. At the very least, she believes it will show what a powerful ally Alexandria could be for Oceanside. Tara may be a hopeful and optimistic person, but she doesn’t agree with Cyndie’s assessment. Cyndie again gives Tara food, water, and a spear, and then helps her get across the walker-filled bridge. After picking up some curios, Tara returns to Alexandria where she’s greeted by Eugene. The heartbreak on his face tells her everything. Later, when Rosita asks if Tara found anything that could help them fight the Saviors, Tara keeps the promise she made. The bridge and the walkers inhabiting it provide some great action in “Swear.” The bridge naturally limits the possibility of escape and the former survivor camp creates spaces for the dead to inhabit. The walkers’ monochromatic appearance is different than anything we’ve seen before. The dusty and desiccated walkers emerge from the sand pile, giving us a classic zombie moment in which the dead rise. The final bridge scene did create an incongruent moment when Tara spotted a recently dead walker resembling Heath amidst all the dusty bridge walkers. Despite this, the bridge scenes added much-needed creativity to the typical walker interaction we see in the series. Alanna Masterson (Tara) gets some exciting action scenes both with the dead and the living, including the moment in which she and Sydney Park (Cyndie) run over the tops of cars parked on the bridge. Having a whole episode about Tara is a nice change because she’s one of the few funny characters in The Walking Dead. Though the episode is focused on Tara, writer David Leslie Johnson (“Chupacabra” and “Triggerfinger”) connects her journey to the larger story arc of the Saviors. If Heath is still alive, he knows there’s ammunition on the bridge. Even with Tara keeping her promise, Heath may end up leading someone back to Oceanside. Natania also mentioned that their area was relatively free of walkers due to the evacuation and the barges. Let’s hope there’s a barge full of walkers in our future. Of course, a barge full of the living could be fun too. It’s likely this introduction to Oceanside will pay off later, but if nothing else, “Swear” reinforces that the Saviors aren’t easily defeated.